Mural by Chuck Landvatter celebrating Thelma McDonald, the original landlord of the homes that were bulldozed to make way for the new apartment complex. Corner of 600 West and North Temple. 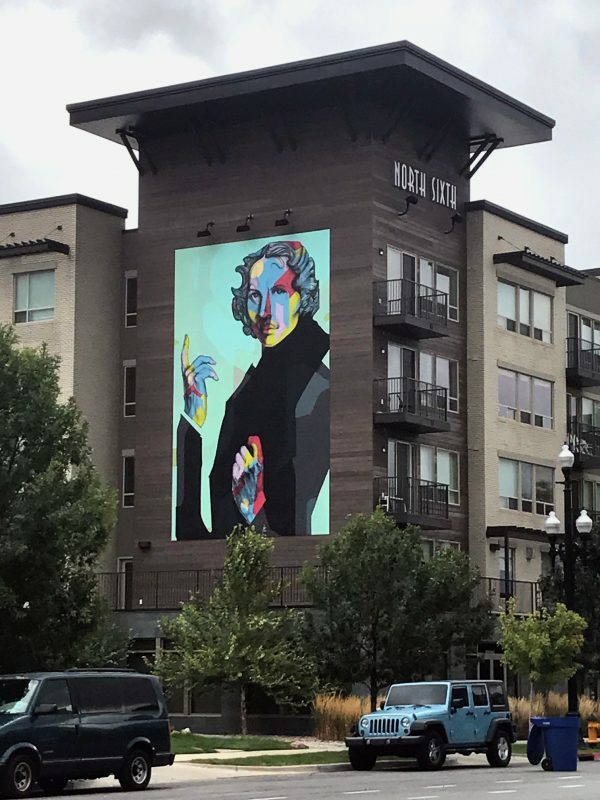 With our In Plain Site byline we feature publicly viewable art, both official and street art, throughout the state of Utah.